Doranix is a designer and manufacturer of innovative industrial printers and label printer-applicators for product identification and bar-coding serving the medical, food and other packaging industries. 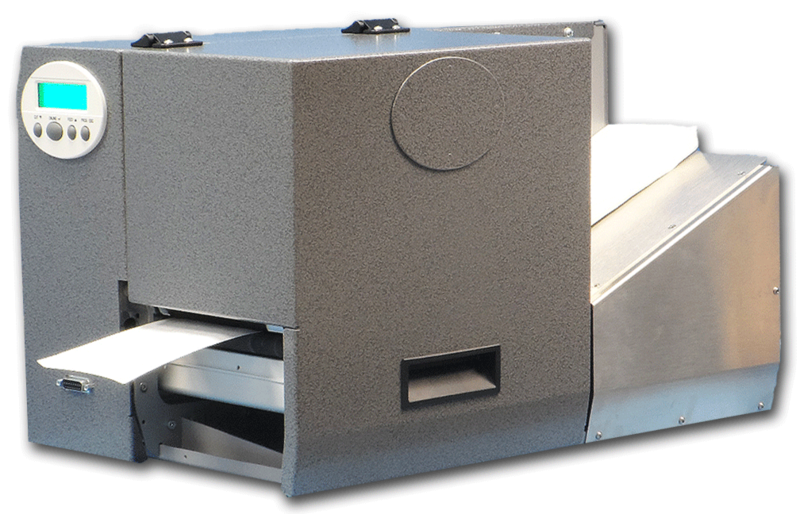 DoraniX introduces the ThermaPrint 64 Series of Direct-to-Package Printing Systems with heavy-duty industrial design equivalent to the original ThermaPrint. 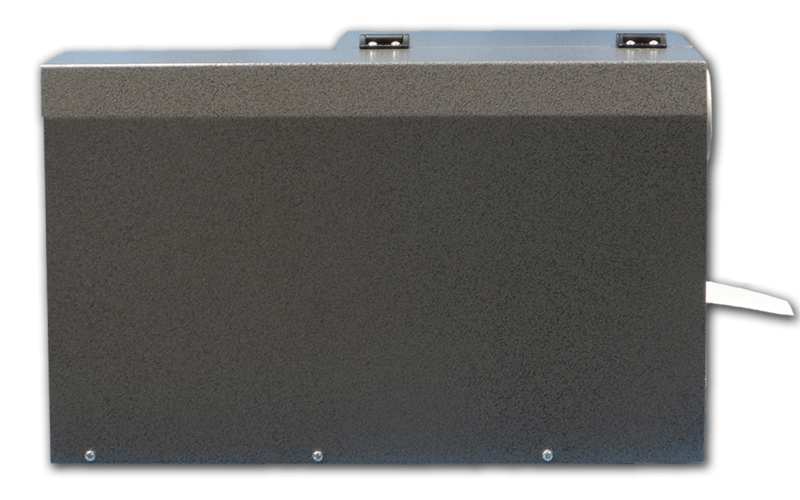 This series of label application systems features increased connectivity (USB & Ethernet) allowing interface flexibility and ease of networking. 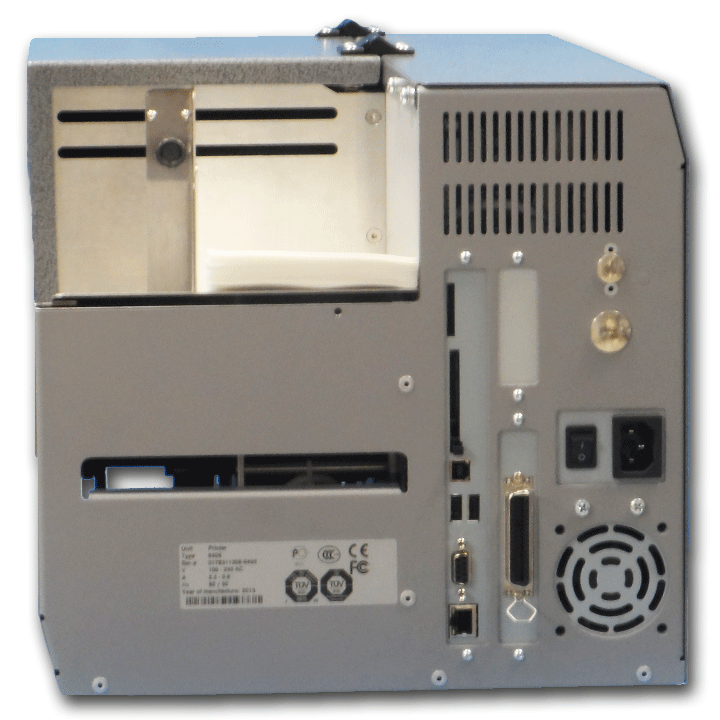 The rugged design of the ThermaPrint 64 Series Printing Systems is powered by 4 – 6 motors dependent on configuration. A custom Collection Magazine is adequate for most applications; a Powered Stacker provides additional capacity for larger production runs and for precise stacking of packaging such as small Lids or Cards. In addition to pre-formed packages, the ThermaPrint 64 Standard industrial label printer may be configured as a Roll-to-Sheet (Lid) Printing System by integration of an industrial Cutter and Roll Feed Module. The 64 bit processor and increased memory provide improved custom printing capabilities and compatibility with most types of software. Higher Print and Slew speeds increase throughput which is further enhanced by Top Loading of product to allow continuous operation. 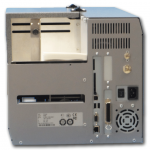 All label printing systems are custom configured in accordance with package type and size. 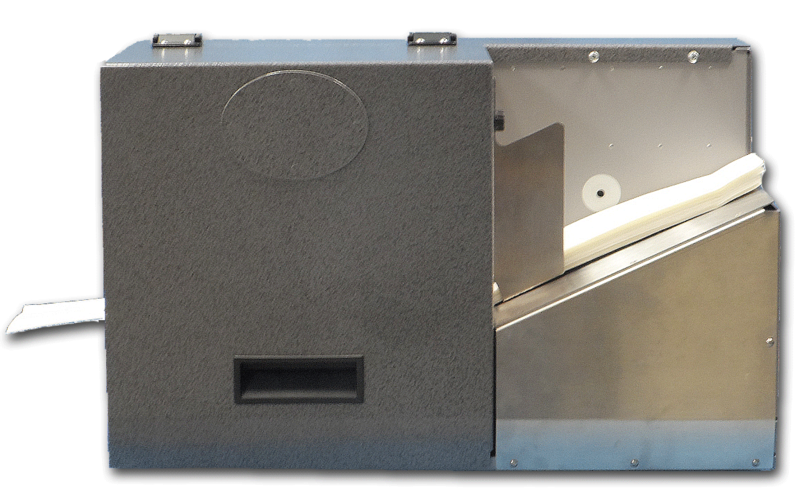 Following are the general specifications for the ThermaPrint 64 Series of Package Printing Systems. Specific specifications are dependent on system configuration. Tyvek has been around for more than 40 years now, and in that time has been found useful in a vast variety of roles. It has been used to protect building sites, made into HazMat suits, and is the most commonly used material for medical packaging. In the majority of these roles, raw Tyvek material needs to be printed. Sometimes, a large logo needs to be printed on a protective sheet. In other cases, packages made of Tyvek need to be individually labeled and sorted. Tyvek printers today are capable of dealing with the most complex of jobs. Several techniques are used, depending on the type of printing required, but in general thermal processes are preferred. When using such processes, care must be taken not to damage the Tyvek substrate itself, as it can be sensitive to both heat and pressure. Printing on Tyvek presents some unique difficulties. Whilst superficially similar to paper, Tyvek is actually made of spundbound Olefin fibers, each between 0.5-10 µm in width, which are compressed and heated in order to bond them together. This construction technique gives Tyvek its great strength, and also makes it totally waterproof. This is where the problem with printing on Tyvek begins. Because it is highly resistant to water, most inks designed for printing on porous materials will not adsorb into Tyvek, and will simply run off its surface. Whilst it is possible to use such inks whilst printing on Tyvek, care must be taken in order not to smear the design or damage the substrate itself. This, however, is only one of the problems of printing on Tyvek. In a lot of applications, as for instance in producing packaging, a large quantity of individual packages must be produced, generally at great speed. This means that drying times are of upmost importance. Tyvek printers today use a variety of methods to print on Tyvek, but thermal processes are required when high through-put is necessary. With no ink to dry, these processes generally achieve much higher efficiency then inkjet techniques, and are capable of printing Tyvek at much greater resolution. In addition, Tyvek printers must be able to deal with complex orders. When printing packaging, in particular, each label must generally be printed with a unique identifying code, and sometimes multiple items need to be dealt with in the same print run. Accordingly, modern Tyvek printers incorporate relatively powerful processors, which can be programmed to deal with even the most complicated of orders. When it comes to Tyvek printing, clients value print quality. For packaging, the ability to accurately reproduce barcodes and labels can be critical, and even for large logos printed on sheeting clients can be disappointed if their carefully designed corporate image is poorly reproduced. 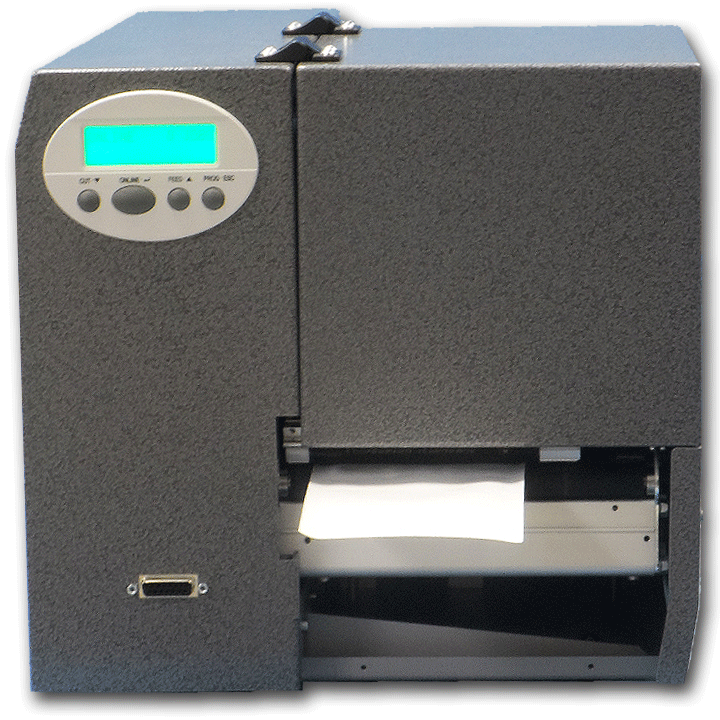 Modern Tyvek printers, therefore, match the 300 DPI printing quality of paper printers. The high volume generally required for Tyvek printing orders – whether on large sheets or tiny individual packages – means that these machines must also be robust. Often, Tyvek printers have to deal with difficult conditions, whether this be high heat, humidity, or simply large amounts of dust in the air, and are consequentially built to be robust industrial machines. We specialize in providing integrated solutions for small to medium size facilities or work cells in larger facilities.